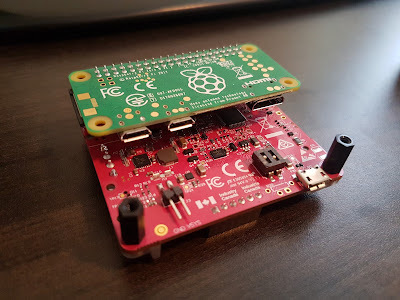 Ever since the Raspberry Pi came out I've had an idea to make a time lapse camera that would take pictures over weeks, months, or even a whole year. For this purpose I needed a mobile power management solution for the Raspberry Pi. Over two years ago I supported a Kickstarter campaign for the PiJuice. The PiJuice was delayed multiple times for various technical and non-technical reasons that are nicely outlined in this review. After all that time my PiJuice has finally arrived and now I'll outline my first impressions! 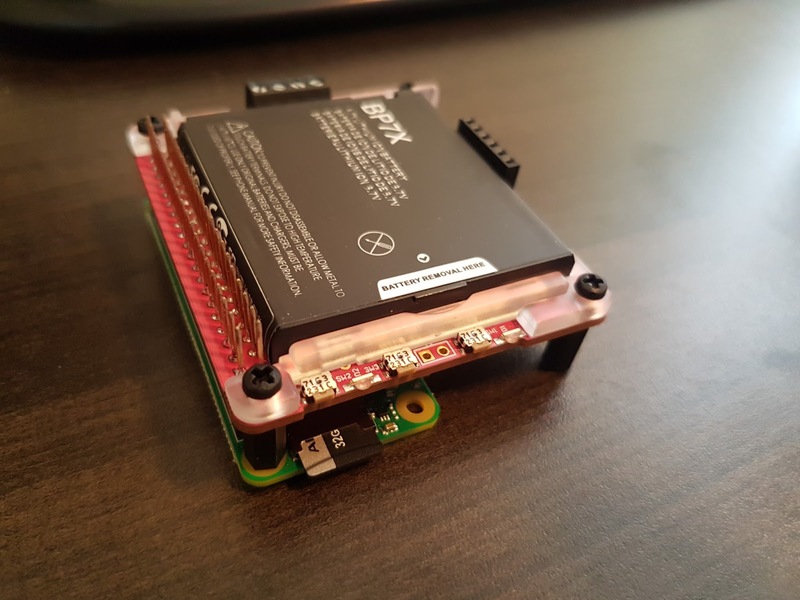 The PiJuice is designed for the Raspberry Pi A+, B+, 2B, 3B, and is compatible with the Zero, and Zero Wireless. I am testing it with the Zero Wireless and 3B right now. Documentation is somewhat lacking right now. Your best bet is to look at the PiJuice's GitHub Page. I found the hardware page the most useful to get an overview of how it works. I bolded the first feature because I feel like this is what sets the PiJuice apart from other competitors. I will have many more reactions regarding the PiJuice in future posts. 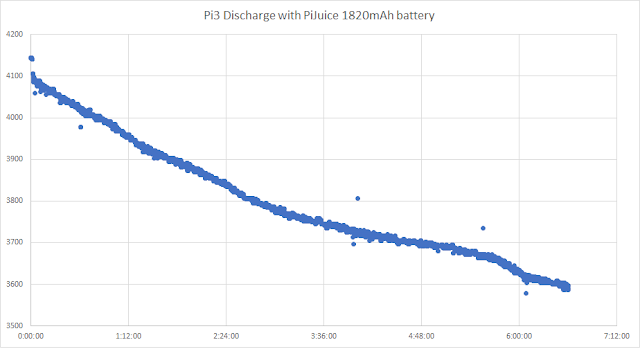 However I'll leave you with this graph which shows the discharge curve of the BP7X 1820mAh battery provided with the PiJuice. I was able to get nearly 7 hours of usable time from it on the Pi 3B! I had to make sure to throttle down the Pi to achieve this but it is possible. The first line powers off the USB/LAN expansion chip. The second line powers off HDMI, and the last lines turn off the power indication LED. Doing all of these things I can reduce current consumption from 500-600mA to 200-300mA! I'll be posting more about how to use it with the Solar Panel, as well as my reactions to the available software API including using the real time clock and more! Any updates on this? Did you get the solar panel working?